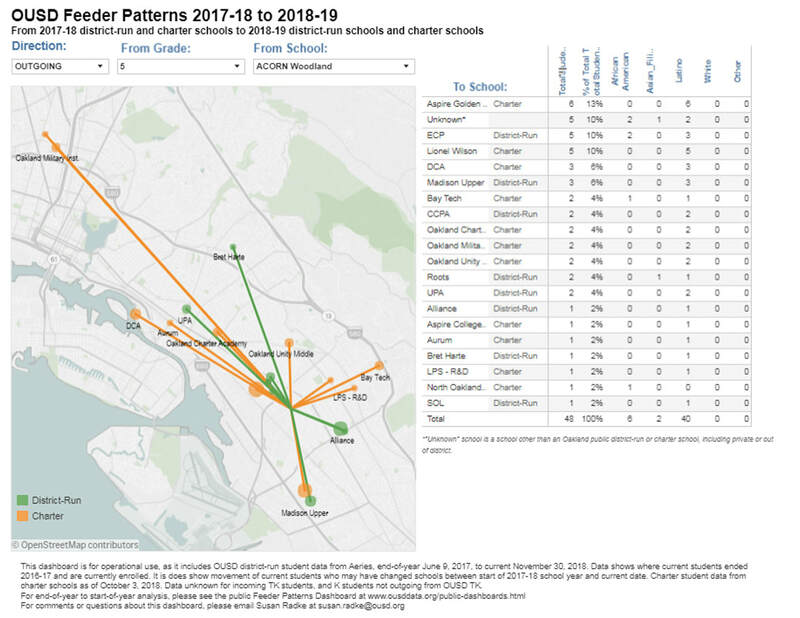 Use these dashboards to identify which schools our grade 5 and 8 students go to for middle and high school? 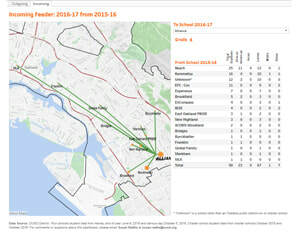 And, which elementary and middle schools our grade 6 and 9 students came from? 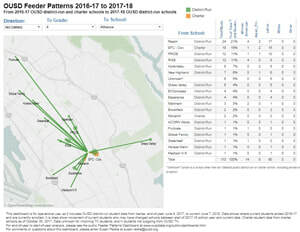 ​For comments or questions about this dashboard, please email Susan Radke at susan.radke@ousd.org.